If you have any questions about this Notice please contact: our Privacy Contact who is Gabby Martinez (831) 424-9100 or gmartinez@capstoneorthopedic.com. Make sure that any medical or health information that we have that identifies you is kept private, and will be used or disclosed only in accord with this Notice of Privacy Practices and applicable law; Give you this Notice of our legal duties and our privacy practices; and Abide by the terms of the Notice of Privacy Practices that is in effect from time to time. Following are examples of the types of uses and disclosures of your protected health care information that this facility is permitted to make. We have provided some examples of the types of each use or disclosure we may make, but not every use or disclosure in any of the following categories will be listed. For Treatment: We will use and disclose your protected health information to provide, coordinate, or manage your health care and any related treatment. This includes the coordination or management of your health care with a third party. For example, we would disclose your protected health information, as necessary, to the physician that referred you to us. We will also disclose protected health information to other health care providers who may be treating you. For Payment: Your protected health information will be used, as needed, to obtain payment for your health care services. This may include certain activities that your health insurance plan may undertake before it approves or pays for the health care services we recommend for you such as: making a determination of eligibility or coverage for insurance benefits, reviewing services provided to you for medical necessity, and undertaking utilization review activities. We may also tell your health plan about an orthotic or prosthetic device you are going to receive to obtain prior approval or to determine whether your plan will cover the device. For Healthcare Operations: We may use or disclose, as needed, your protected health information in order to support the business activities of this facility. These activities include, but are not limited to: quality assessment activities, employee review activities, legal services, licensing, and conducting or arranging for other business activities. We may share your protected health information with third party “business associates” that perform various activities (e.g., billing, transcription services) for this facility. Whenever an arrangement between our facility and our business associate involves the use or disclosure of your protected health information, we will have a written contract that contains terms that will protect the privacy of your protected health information. Marketing and Health-Related Benefits and Services: We may also use and disclose your protected health information for other marketing activities. For example, we may send you information about products or services that we believe may be beneficial to you. You may contact our Privacy Contact to request that these materials not be sent to you. Other uses and disclosures of your protected health information will be made only with your written authorization, unless otherwise permitted or required by law as described below. You may revoke your authorization, at any time, in writing. You understand that we cannot take back any use or disclosure we may have made under the authorization before we received your written revocation, and that we are required to maintain a record of the medical care that has been provided to you. The authorization is a separate document, and you will have the opportunity to review any authorization before you sign it. We will not condition your treatment in any way on whether or not you sign any authorization. Health Oversight: We may disclose protected health information to a health oversight agency for activities authorized by law, such as audits,investigations, and inspections. Oversight agencies seeking this information include government agencies that oversee the health care system, government benefit programs, other government regulatory programs and civil rights laws. Food and Drug Administration: We may disclose your protected health information to a person or company required by the Food and Drug Administration to report adverse events, product defects or problems and biologic product deviations, or to track products to enable product recalls, or to make repairs or replacements, or to conduct post marketing surveillance, as required. Law Enforcement: We may also disclose your protected health information, so long as applicable legal requirements are met, for law enforcement purposes. These law enforcement purposes might include: (1) legal processes and otherwise required by law; (2) limited information requests for identification and location purposes; (3) pertaining to victims of a crime; (4) suspicion that death has occurred as a result of criminal conduct; (5) in the event that a crime occurs on the premises of the practice, and (6) medical emergency (not on the CAPSTONE ORTHOPEDIC’s premises) and it is likely that a crime has occurred. Coroners, Funeral Directors, and Organ Donation: We may disclose your protected health information to a coroner or medical examiner for identification purposes, determining cause of death or for the coroner or medical examiner to perform other duties authorized by law. We may also disclose protected health information to a funeral director, as authorized by law, in order to permit the funeral director to carry out their duties. We may disclose such information in reasonable anticipation of death. Protected health information may be used and disclosed for cadaver organ, eye or tissue donation purposes. Criminal Activity: Consistent with applicable federal and state laws, we may disclose your protected health information, if we believe that the use or disclosure is necessary to prevent or lessen a serious and imminent threat to the health or safety of a person or the public. We may also disclose protected health information if it is necessary for law enforcement authorities to identify or apprehend an individual. You have the right to inspect and copy your protected health information. This means you may inspect and obtain a copy of your protected health information contained in your medical and billing records and any other records that your Orthotist or Prosthetist uses for making decisions about you, for as long as we maintain the protected health information. You can choose if the copy is electronic or paper. 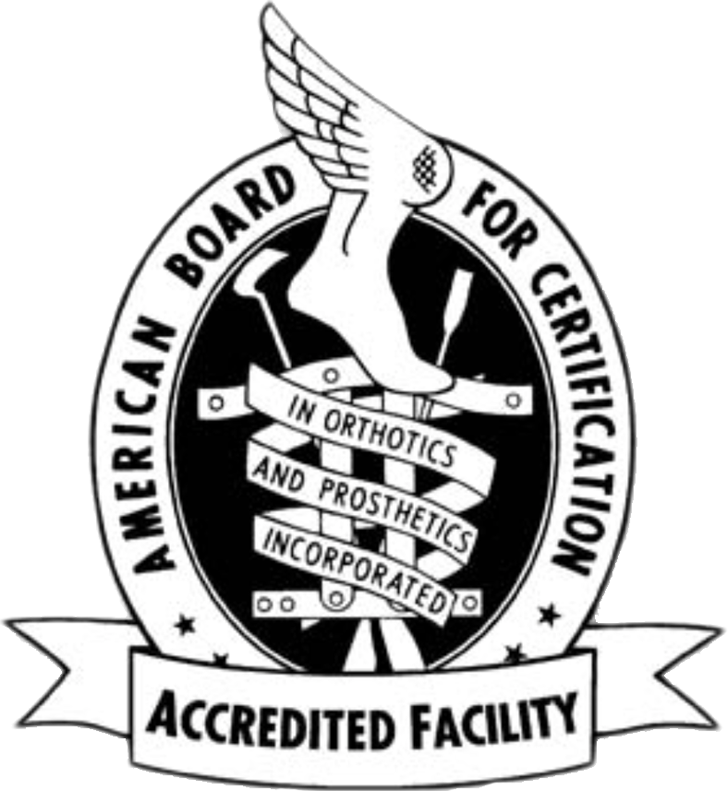 Your Orthotist or Prosthetist is not required to agree to a restriction that you may request. If the Orthotist or Prosthetist believes it is in your best interest to permit use and disclosure of your protected health information, your protected health information will not be restricted. If your Orthotist or Prosthetist does agree to the requested restriction, we may not use or disclose your protected health information in violation of that restriction unless it is needed to provide emergency treatment. With this in mind, please discuss any restriction you wish to request with your Orthotist or Prosthetist. You may request a restriction by submitting it in writing to the office manager. You have the right to receive an accounting of certain disclosures we have made, if any, of your protected health information. This right only applies to disclosures for purposes other than treatment, payment or healthcare operations as described in this Notice of Privacy Practices. It also excludes disclosures we may have made to you, to family members or friends involved in your care, or for notification purposes. You have the right to receive specific information regarding these disclosures for up to 6 years prior to the date of request. You must submit a written request for disclosures in writing to the Privacy Contact. You must specify a time period, which may not be longer than six years. You may request a shorter timeframe. Your request should indicate the form in which you want the list (i.e., on paper, electronic, etc). You have the right to one free request within any 12 month period, but we may charge you for any additional requests in the same 12 month period. You have the right to request a restriction on certain uses and disclosures of your information as provided by 45 CFR 164.522. We will honor your request for restrictions to the extent possible. We are not required to agree to your restriction request, unless required by law or you request a restriction to a health plan if you have paid for the services out of pocket and in full. We will attempt to accommodate reasonable requests when appropriate and we retain the right to terminate and agreed-to restriction if we believe such termination is appropriate. In the event of a termination by us, we will notify you of such termination. You also have the right to terminate, in writing or orally, any agreed-to restriction. You have the right to be informed following a breach of unsecured protected health information by the covered entities. The Secretary will also be informed, and, in certain circumstances, also the media. In addition, business associates must notify covered entities that a breach has occurred. You may contact our Privacy Contact, Gabby Martinez at (831) 424-9100 or gmartinez@capstoneorthopedic.com for further information about the complaint process. This notice became effective on September 23, 2013.